Rapidly increasing efforts to generate whole genome sequences for many vertebrate species are providing a significantly improved understanding of the biological differences among animals across the tree of life. In a new study published in Science Advances, an international multi-institutional research team, led by the Human Genome Sequencing Center at Baylor College of Medicine, reports novel results describing the genome sequences and evolutionary history of six Papio baboon species. This work sheds new light on the fundamental biological processes that generate new species and has implications for the origin of our own species, Homo sapiens. "Baboons have long attracted scientific attention because they evolved within the same sub-Saharan African habitat in which early human ancestors arose. The behavioral and ecological differences among baboons make them an excellent model for investigating how a socially complex, highly adaptable primate lineage diversifies over time. In this new work, we show that baboon diversification and evolution was a more complex and reticulated process than was previously recognized," said Dr. Jeffrey Rogers, associate professor in the Human Genome Sequencing Center at Baylor and lead author on the paper. "We found that after new baboon lineages arose and differentiated, they did not remain completely isolated, but in fact have interbred, or hybridized, at several different times and places. This means that biologically significant genetic information was exchanged after the various species became recognizably distinct," said Rogers. "Importantly, this process of hybridization and genetic exchange continues today, so that we and others can study the population processes involved in the evolutionary divergence that happens in the face of continuing gene flow." "This is a key first step in understanding baboon adaptation. The panel of baboon individuals included in this study represents only a small part of the geographic variation in baboons. To fully understand the phylogeny of baboons, and also to make use of baboons as a model for parts of human evolution, we need to sequence individuals that represent the whole geographic range of baboons," said Dr. Dietmar Zinner, of the German Primate Center, Leibniz Institute for Primate Research in Göttingen, Germany. "The findings of this study are important in several ways. 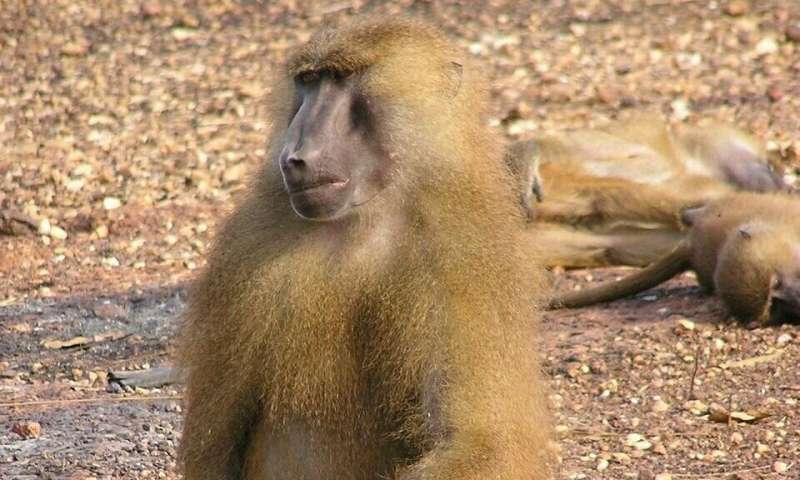 Not only are there novel understandings of baboon biology and an impact in evolutionary understanding, but also the application to biomedical disease research is apparent," said Dr. Richard Gibbs, Wofford Cain Chair and Professor and director of the Human Genome Sequencing Center at Baylor. "Baboons provide models for research in cardiovascular issues, such as hypertension and heart disease, as well as neurological conditions. Baboon research studies have contributed significantly to human health, and the better we understand the fundamental biology, the better we can make use of the information they provide." "The sequencing of the baboon individuals is very important for understanding the evolutionary history of the genus and will provide deeper insight into processes, such as introgressive hybridization and local adaptation," said Dr. Christian Roos, also of the German Primate Center.